As a mom, I really, really appreciate it when fast food restaurants seem to make an effort to entertain my kids with educational products. Guess what's in the Happy Meals this week? Books! Yes, books! 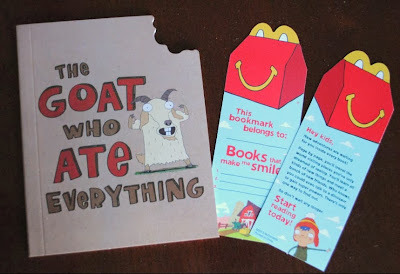 I can't tell you how awesome it is to see books in a Happy Meal. I'm not that big a fan of plastic toys that my kids play with for an hour then leave laying around the house, forgotten forever. But books - now there's a treat that lasts and even benefits my kids for a long time. Apparently, the books are part of McDonald’s initiative to celebrate the joy of reading with a Happy Meal program that features four different original books focused on nutrition, imagination, and play. Each book comes individually wrapped and includes a bookmark that encourages kids to pick up a book and read. 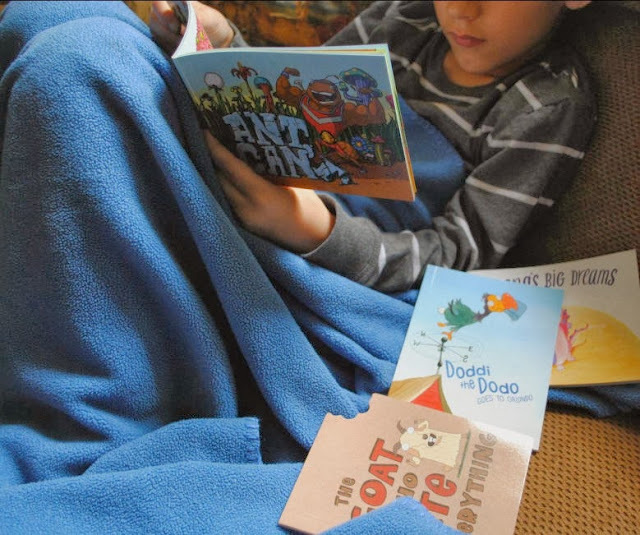 Children can even write three of their favorite book titles on it. And these books are funny. Oh, they aren't heavy classics, of course. But simple, fun stories that engaged my kids and made them laugh. And they have power, because my kids didn't just read them once. But over and over again. 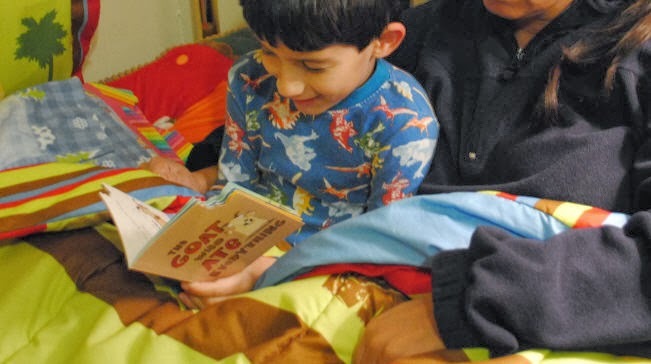 In fact, my son picked out The Goat Who Ate Everything as our bedtime read. Much shorter than our usual stories, but it had him in stitches and sent him off to sleep with a smile on his face. • Ant Can’t – A book about Ant, a bite-sized bodybuilder, who is big on encouraging physical fitness through exercise and eating right. • Doddi the Dodo Goes to Orlando – A book about Doddi the Dodo, a happy-go-lucky bird, who travels the world. She eats right to stay focused and alert because this dodo is always on the go-go. • Deana’s Big Dreams – A book about Deana, the world’s smallest dinosaur, who has big dreams. Milk and fruit help feed her imagination so she can grow tall and reach the sky. • The Goat Who Ate Everything – A book about a goat who has a big appetite and struggles to eat smart. But when he does, he feels great and becomes the playful kid everyone loves. So I want to take this opportunity to say: McDonald's, let's see more books like these that tickle our children sense of humor, and help them develop their literacy skills in a fun way. And maybe you can go one step further and throw in a few bilingual stories to reach the one group of children in our country who consistently come in last when it comes to literacy skills? Disclosure: McDonald's sent me extra copies of these books for review purposes.